B1 terminal batteries with various specifications are available at SF Cable. You can now order B1 terminal batteries and other batteries at SF Cable and get them delivered at your door steps. We have 12V 17Ah Battery B1 Terminal, BP17-12-B1 and 12V 20Ah Battery B1 Terminal, BP20-12-B1 among other products to choose from. 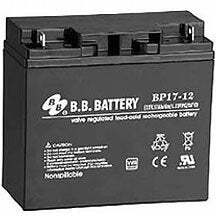 You can select these B1 terminal batteries according to your requirements. We offer the very competitive prices in the market and give priority to offer top quality and environment free products to our customers along with hassle free after sale services. You also get lifetime technical support from our expert team.